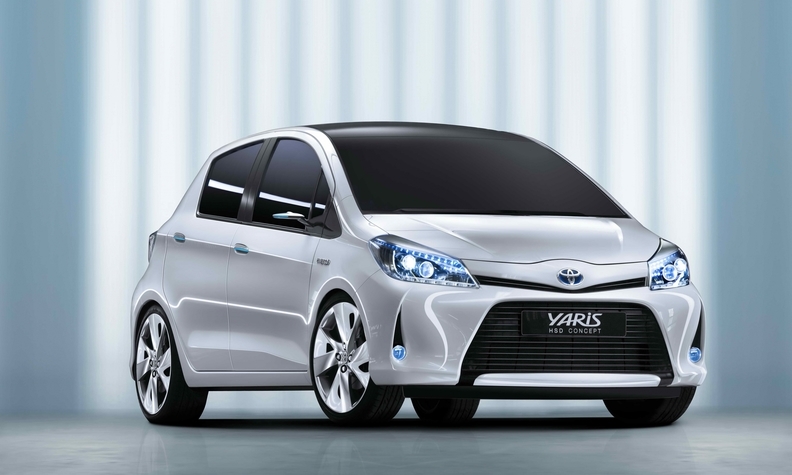 In mid-2012, a hybrid version of the Yaris subcompact, shown, will enter production at Toyota's plant in France. GENEVA -- Toyota Motor Europe is counting on an expanded lineup of gasoline-electric hybrids to return to profitability in the region. Over the next two years, Toyota and its Lexus luxury brand will launch 10 new hybrids in Europe. The launches are intended to generate about 20 percent of Toyota's total European sales, or about 200,000 units in 2013. 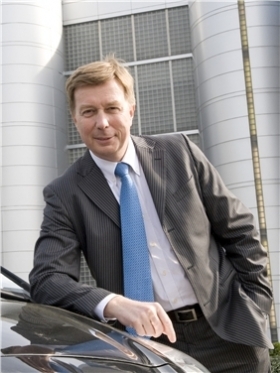 "To regain profitabilty was my number one priority when I took over Toyota Motor Europe a year ago - and hybrid models are playing a crucial role in our plan of a sustainable and profitable growth," Toyota Europe CEO Didier Leroy told Automotive News Europe. Last year, four hybrid models -- the Toyota Prius, Auris, and four Lexus hybrids -- accounted for 9 percent of Toyota's European sales. "Our goal is to increase the hybrid share to 20 percent by 2013," Michel Gardel, Toyota Europe's head of external and environmental affairs, told ANE. Toyota's Germany boss Ulrich Selzer said Toyota/Lexus sold 70,500 hybrid cars in Europe last year. "In 2010, 42,300 Prius cars were sold along with 15,000 Auris hybrids and 12,000 Lexus hybrids. "Hybrid for everybody is our slogan," Selzer added. Toyota plans to launch a hybrid minivan called the Prius+. In 2011, Toyota and Lexus aim for sales of 880,000 units, up from 808,000 units last year, in its 53-market region, which includes the EU, Russia and Turkey. If Toyota meets its sales goal, the automaker would match its European sales of 2009. "We could regain volume and market share faster, but I aim to a sustainable, profitable growth," Leroy said. Toyota Europe's biggest market is Russia, followed by the UK. Joint No. 3 markets are Germany and France. Leroy confirmed that in mid-2012, a hybrid version of the Yaris subcompact will enter production at Toyota's plant in Valenciennes. Most likely, the hybrid variant would carry a specific name, leaving the Yaris name for the gasoline and diesel versions, he said. Toyota Europe boss Leroy wants sustainable, profitable growth. 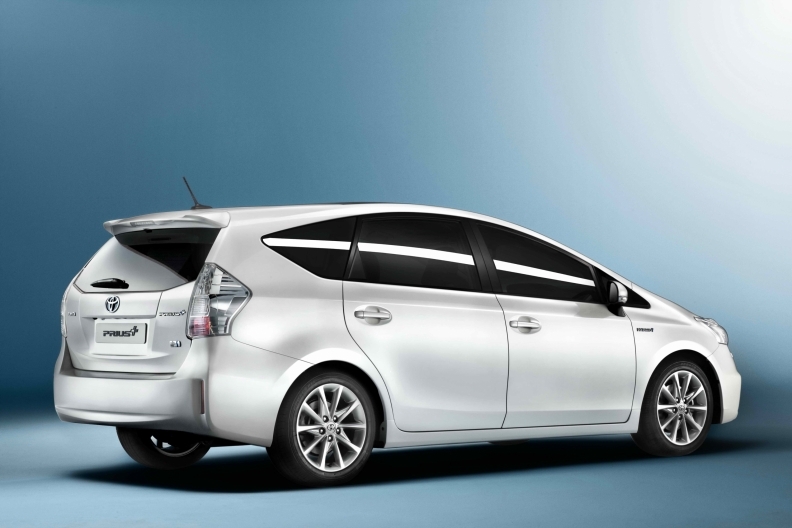 Toyota also plans to import the Prius+ seven-seat hybrid minivan from Japan. Leroy said Toyota has lost money in Europe over the past three years, with an operating loss of 250 million euros in the fiscal year 2009, which ended March 31, 2010. Only within the third quarter of fiscal 2010 (October-December 2010) did the company report a 20 million euro operating profit. Despite the return to a profitable quarter, in the fiscal year ending March 31 Toyota probably will lose money in Europe again, Leroy predicted. The company expects to be profitable at the latest by the 2012 fiscal year, which ends March 31, 2013. Doubling hybrid model sales to 20 percent in the next 24 months should also help Toyota defend its position as the automaker with the second lowest average CO2 emissions in Europe. Based on statistics from the first half of 2010, the Toyota brand reduced average CO2 emissions to 128.0 grams per kilometer from 130.1g/km in 2009, according to market researcher JATO Dynamics.Toyota ranked second overall to Fiat, which had CO2 emissions of 123.5g/km in the first half of 2010, down from 127.9g/km in 2009.